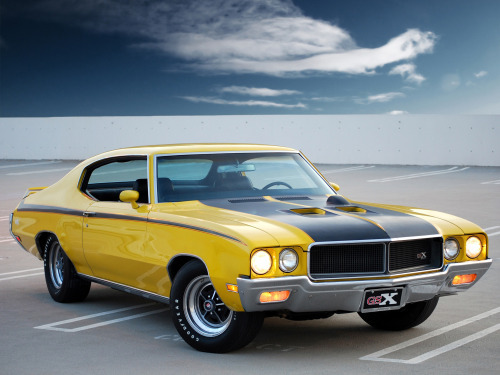 For a lot of years, like most Buicks, the 1970-1972 Buick GS has been passed-over as a legitimate powerhouse, being mistakenly overshadowed by other GM cars sharing the same counterparts, like the GTO, Chevelle and 4-4-2. Buick always had that stereo type of the car your Grandmother takes back and forth to the grocery store. However, in 1970, Buick wanted to put an end to that stereo type and in February, introduced the GSX, which put the Buick on par with Chevrolet's LS-6, Pontiac's Judge, and Oldsmobile's W-30. Dressed in yellow or white, with spoilers fore and aft and special emblems, much like the GTO Judge the year before, the Buick fit right in with the psychedelic look so popular at the time. However, what nestled beneath that sinister hood was an engine with the highest torque rating of any American car, until the Dodge Viper eclipsed it in 2003. In 1970, the Buick 455 produced 510-lb.ft. of torque at 2,800 rpm and 350hp at 4,600 rpm. The more powerful Stage 1 produced the same torque rating, but had 10 more horsepower in 1970. At least that's what the advertisements claimed. More realistic numbers place the GSX Stage 1's horsepower at somewhere between 390 and 395hp. One Buick expert said the number is more likely 400 or better, but no one would admit to it so as to keep Ralph Nader off their backs. There were 678 GSX cars built in 1970 and available in only Saturn Yellow and Apollo White. Of this number, 491 were yellow and 187 were white, according to the GSX Registry. Of the 678 cars, 199 had four-speed manual transmissions and 479 were optional automatics. And 278 had standard 455 engines, while the other 400 were Stage 1 powered. In 1970, the GSX package cost $1,195 and included much more than the special stripes. The Stage 1 engine was an extra $115. Also in the package were: A hood tach; stiffer shocks and suspension pieces; heavy-duty cooling; power front disc brakes; and G60x15 tires on Buick Rallye chrome-plated wheels. Other GSX specific standard equipment included: Power front disc brakes; 3.42:1 ratio positive-traction rear end; special front stabilizer bar; heavy-duty front and rear shocks; and heavy-duty rear anti-roll bar. Information is lacking on 1971 and 1972 models, which are more rare than the 1970 car, but ironically less valuable in the collector market. During these years, the cars were built the entire model year and the GSX option could come on any GS from a 350-powered version to a Stage 1 and could be ordered in five colors and various trim options. Having said this, these cars can be difficult to document. In 1971, Buick built 124 GSXs and in 1972, only 44 were built. The VIN will be the same as a GS of each year respectively. The 1971 GSX included: body side stripes, hood paint and GSX emblems, rear spoiler only, painted headlamp bezels, black rocker molding stripe, and six exterior colors were available. Despite the GSX's performance DNA, most luxury options, including air conditioning were available, even with the Stage 1 engine. Buyers could order a four-way tilt power bucket seat, carpet savers and handy mats, power windows, power door locks, cruise control, tilt wheel, AM radio with 8-track mounted under the dash, custom shoulder belts, heavy-duty air cleaner, tinted glass and even speed alert so you wouldn't try to outrun the man in blue. The engine is the heart and soul of any car and the GSX is no exception. The Buick 455 held the crown for the most torque of any American mass-produced muscle car at the time (only Cadillac's 501 eventually out-twisted the 455, and that was only available in a three-ton land barge), and even though this engine had fewer horsepower than its other GM siblings, the Buick delivered amazing punch. In 1970, 60 mph came in the GSX in just 5.8 seconds, not bad for a car weighing 3,874 pounds, wearing bias-ply rubber. The GSX could cover the quarter-mile in 13.38 seconds at 105.5 mph, according to a 1970 Motor Trend report. If the car had an automatic transmission, it weighed 3,919.7 pounds and, if Stage 1-equipped, add another 2.4 pounds. At the time, the car was called "the quickest American production car." The Stage 1 option cost $199 and came with a higher-lift camshaft and slightly richer jets in the 750-cfm Quadra-Jet, even if the primaries and secondaries were the same for both engines: 1.375 inches and 2.250 inches. The bore and stroke of the 455 was 4.3125 inches by 3.90 inches and the Stage 1 had slightly higher compression of 10.5:1 in contrast to the 10.0:1 of the standard 455. The base engine produced 350hp and the Stage 1 had 360hp. Valve size was 2.120 inches on the intake side and 1.745 inches for exhaust for the Stage 1. Base 455 valves were 2.005 and 1.630 inches respectively. Probably the biggest internal difference is the hydraulic camshaft and its specifications. The standard 455 had a lift of 0.3891 inches intake and 0.4602 exhaust vs. 0.490 inches both intake and exhaust for the Stage 1. 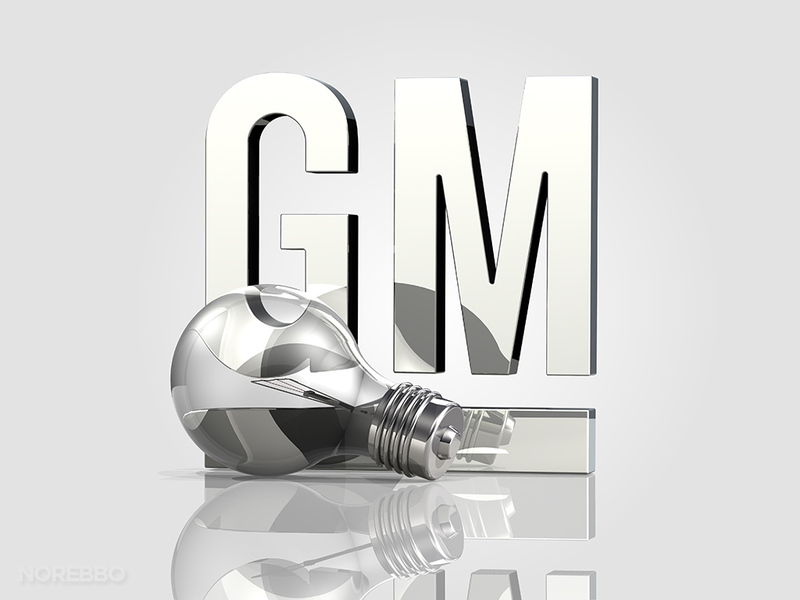 The duration for the standard engine was 290 degrees intake and 322 degrees exhaust. The Stage 1 had 316 degrees intake and 340 degrees exhaust. The overlap was 67 degrees for the base engine and 90 degrees for the Stage 1. In 1971 and 1972, a 350-cu.in. engine was standard in the GSX, with the two 455s optional.